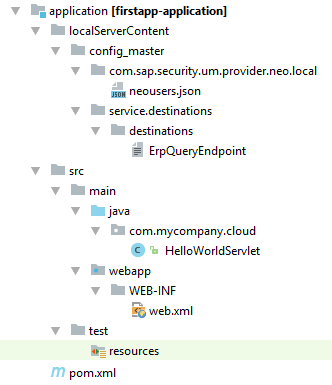 The following steps will explain how to create the very first HelloWorld example on SCP Neo using the SAP S/4HANA Cloud SDK. If you want to follow this tutorial, we highly recommend checking out the first part of this blog series. You will not need any additional software as the server will run on your local machine. 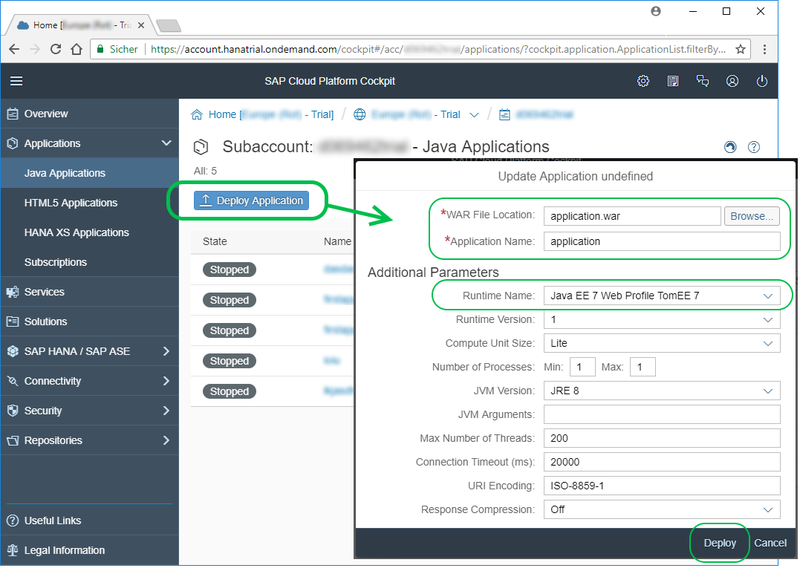 Since you have already installed Maven, you can use it to generate a project stub from the SAP S/4HANA Cloud SDK Maven archetype. Just use your console (e.g. IDE, OS, navigate to a parent directory for your project and run the following command. artifactId an identifier for your application (e.g. firstapp). For the tutorials we suppose you have chosen “firstapp“. package the name of the top-level package your source code will reside in (typically equal to your groupId, e.g. 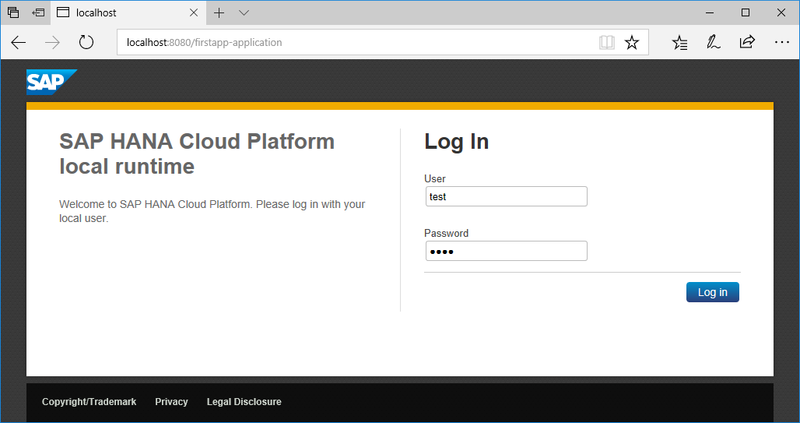 com.sap.cloud.sdk.tutorial). Please pay attention to package and directory names in any upcoming source code when using a different package name than suggested here. Now you can work with it just like any other Maven project. These are Maven sub-modules and they serve different aspects of your code application, test and deployment environment. The following separation of modules makes it possible to run dedicated unit tests and sensitive integration tests without deploying the application. The advantage of operating a multiple-modules project for your application becomes apparent as soon as the software complexity rises. Then it gets convenient to dedicate code distribution and responsibility to developers for either application or test environment. In terms of reliability and continuance, you will see, that front-end testing and test-automation are as important as classic backend-testing of your project. These fields of expertise require different programming paradigms, and such different kinds of development life cycles. To ensure the overall software stability and liability, a multiple-modules setup is the best practice solution. src/main/java Here goes your production code, nothing else. As you can see, there’s already the HelloWorldServlet, which we will look at in more detail soon. src/main/webapp contains the deployment descriptor for your web application – the infamous web.xml, as well as a starter web page in index.html. src/test/resources Additional resources for attached test classes. 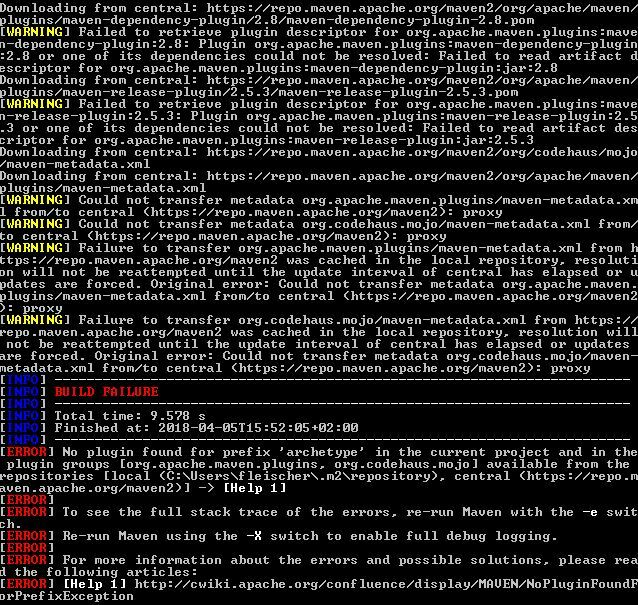 pom.xml This is your project management file for Maven where you can maintain other open source dependencies or use plugins that ease your build Environment. src/test/java This is the place for your automated tests. src/test/resources Tests may also require additional resources to work properly such as configuration files. This is their place. src/test/java Here you can put all your integration tests. As you can see, there’s already the HelloWorldServiceTest corresponding to the HelloWorldServlet. src/test/resources Here are all the resources needed for the integration tests to run or validate. cx-server contains the script and configuration file to manage your best practice continuous integration and delivery software environment (Cx). The including files allow Linux users to simply create your very own Cx server as part of a Docker deployment. The server, which will be run, is Jenkins. This automation server helps to manage all technical steps of a software development process. cx-server This Unix bash script allows you to start and stop the Jenkins server on your local machine, as part of a Docker container. 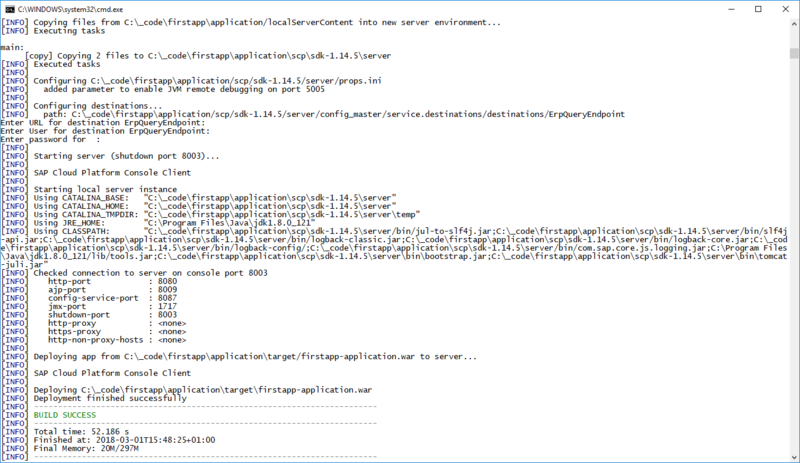 server.cfg This is the configuration file for the server parameters. 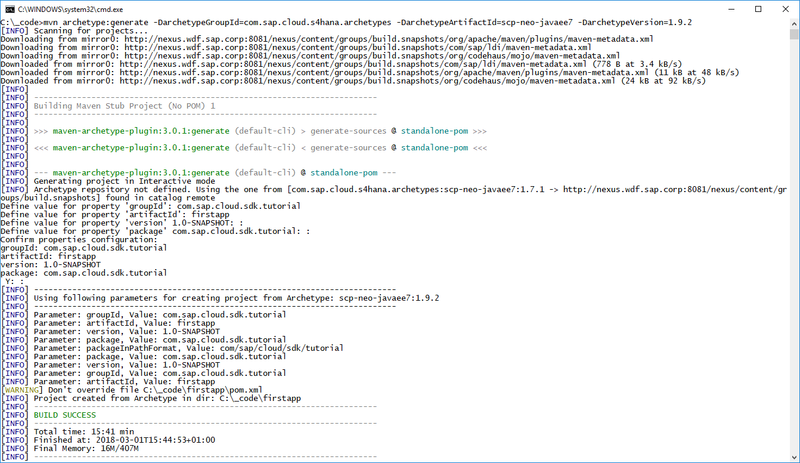 Jenkinsfile This text file contains the definition of a Jenkins Pipeline and stays part of your project source code. It defines what steps are run specifically for your application. 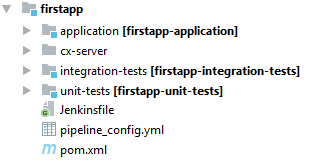 pipeline_config.yml This is the configuration file for your specific application. This separation of test modules makes it possible to just run unit tests and integrations test without deploying, as well as deploying the application without running time consuming tests. Unit tests can either be kept publicly inside the application module, or in the separate unit-tests folder, that’s part of the archetype. For that topic we highly recommend the articles and educational videos from Martin Fowler. For a start we advice reading his post about Unit Tests. During development it becomes important to test newly implemented code to external services, i.e. logic running in a distributed environment. This is where an integration test is an important tool to ensure correctness and stability over the whole internal and external deployment. Since the integration tests may contain confidential information, like business logic and test access tokens, it can be helpful to maintain its operation inside a dedicated Maven sub module. That way the runnable application itself can be later shipped without tests and their dependency. The HelloWorldServlet extends HttpServlet, so this will be a HTTP endpoint that we can visit. We map this endpoint to the /hello route using @WebServlet("/hello"). By overriding the function doGet, we define what happens when a client performs an HTTP GET request on the /hello route. in this case we simply write a response containing “Hello World!”. 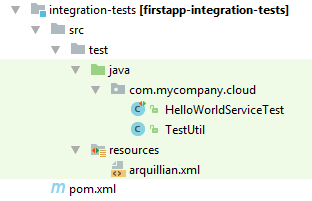 As you can see, HelloWorldServiceTest uses JUnit to define the test. It declares BeforeClass and Deployment for the general test setup. The MockUtil provides easy access to mocked backend systems, e.g. preconfigured ERP connections for the test cases. The integration test features RestAssured to easily run WebService calls over HTTP. Later you will see the advantages of having this library on hand, when dealing with more sophisticated examples. Here it runs an assertion test on the result of a GET request to the local /hello route. It is time to finally deploy the application. The first command will cascade the goal execution of clean and install to both Maven sub modules. It will break in case of any compilation errors or test failures. The second command will run a cleanup and startup for the SCP Neo application. The -pl argument defines the project location in which the Maven goals are being executed. If there is already a previously started instance of the application running, the goal scp:clean will try to stop it on localhost:8080 and will remove the cached server files of the application. 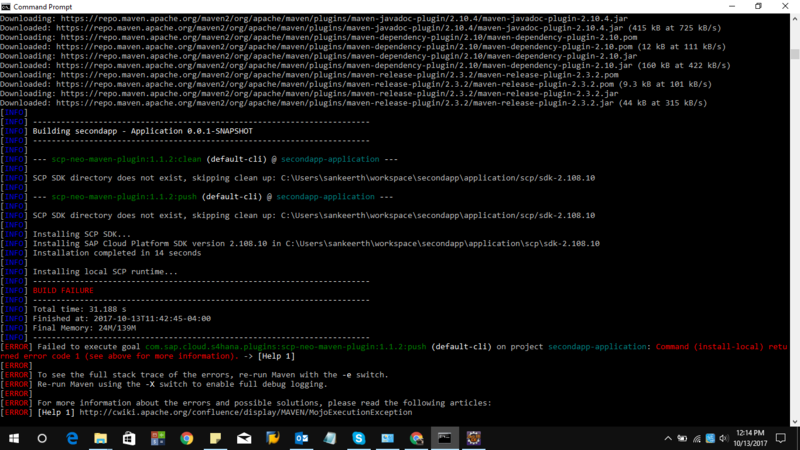 scp:push will start the application on localhost:8080. The web server is started as background process and will take additional seconds to initialize. When the second command asks for a username for the “destination ErpQueryEndpoint”, enter any dummy username, for example, DUMMY, followed by any value for the password. You can enter arbitrary values for now, because the destination is not used at this point of the tutorial. When you are done and want to close the local SCP deployment, please use the scp:clean command for the application project. It will close any connection and stop the server. Please consider the documentation or readme.txt file in case you use a proxy server for connecting to the host. Also we recommend adding this tools directory to your PATH variable, in order to run its executables from any location. Once you open your Neo platform website, you will see your account name as well as the hostname of the service. Now run the required Maven goals in the project root path and use neo to deploy the packaged application to the remote Neo instance. On the Neo website you will find the corresponding URL, where your application is reachable. It will be listed in the application’s details page and might follow the following pattern: https://[application][subaccount]. [host]/[application]-application/ from the values above. Hello world! To find additional Neo commands, e.g. for stopping and undeploying applications, please take a look into the official lists of Neo Console Client Commands. 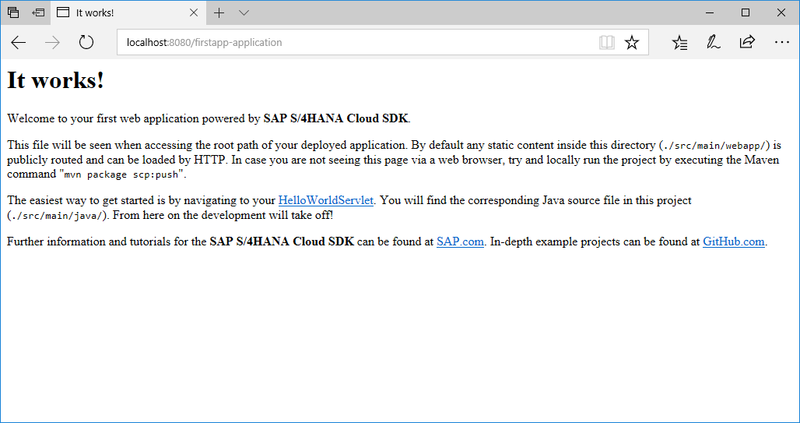 See the next tutorial in the series here: Step 3 with SAP S/4HANA Cloud SDK: HelloWorld on SCP CloudFoundry. In case the Maven scp:clean goal does not shutdown the application background process, even after the second execution, we recommend terminating it by hand. First you need to detemine the process id by the public port. Then terminate the process. 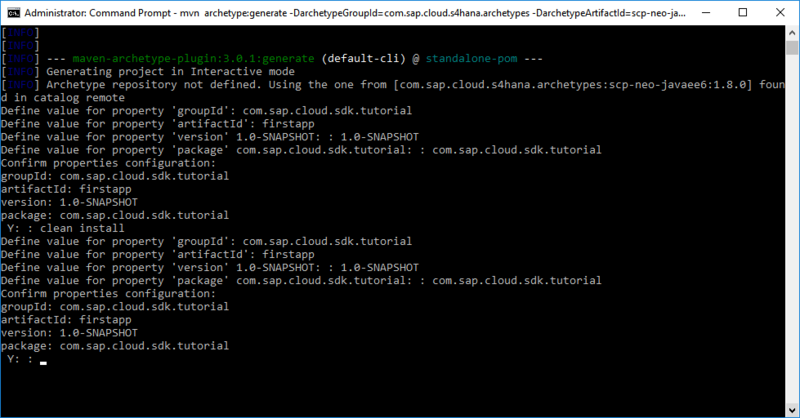 mvn archetype:generate "-DarchetypeGroupId=com.sap.cloud.s4hana.archetypes" "-DarchetypeArtifactId=scp-neo-javaee6" "-DarchetypeVersion=LATEST"
Thank you for such a great blog. I am facing an issue in the deployment phase. 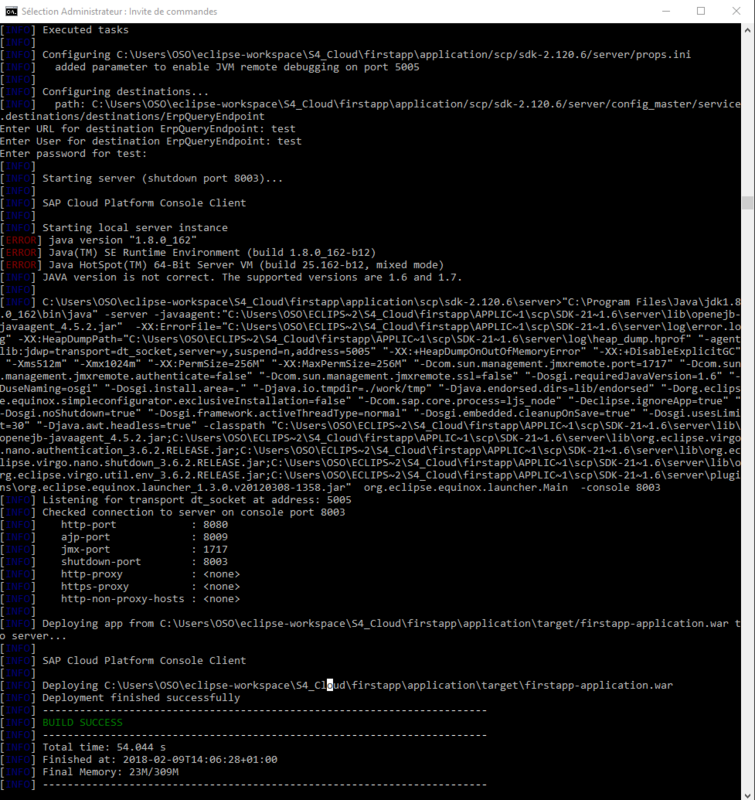 When I execute the command “mvn scp:clean scp:push -pl application”, I see the build is failed. Could you please help me in resolving this? Find the image below for reference. Thank you for your interest in SAP S/4HANA Cloud SDK! It seems like the local SCP Neo runtime is failing to install on your machine. outdated libraries -> Please use a new version of either Maven central or SAP nexus. corrupted previous installation, which has not been correctly cleaned up before -> Please delete any files ./application/scp/ and try again. Or try and build this project in a different/new working directory. missing access rights at the filepath or file system -> Please run the command with elevated rights (run as administrator). Or try and build this project in an unprotected working directory. overly protective antimalware software -> Please try and build this project in an unprotected working directory. In case nothing helped, please run the command again with -X flag to enable full debug logging. You can send me an email with the log output as zipped text file. Thank you very much for the response with solutions. Deleting files from ./application/scp/ worked for me. During the second execution(mvn scp:clean scp:push -pl application) it is asking :Enter URL for destination ErpQueryendpoint: may I know what is the value to be applied here(yu have mentioned user name DUMMY and any value for password but not the url path) is http://localhost:8080/hello ? thank you for your message! Since we are not yet connecting to any ERP system during Step 2 of the tutorial, you can put any´dummy values for URL, username and password. As soon as you want to establish an actual connection to an ERP system, these values will become important. If you experience any issues with your SCP Neo project, please find the troubleshooting section below in the blog post. Also please consider the delay for the local scp runtime to start up. This usually takes between one and two minutes. After that http://localhost:8080 should be responding. I am trying to deploy locally the application. 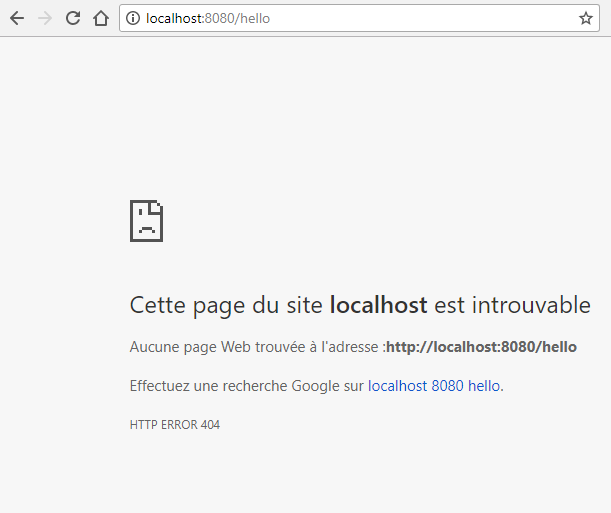 Everything seems fine but when I try to reach localhost:8080, I get a 404. Do you have an idea ? I’ve already tried to kill process but the issue still there. “HTTP Error 404” shows us the web server is running, which is good. The system just sits here. Anything I type here re-initiates the group id & artifactid prompts. please confirm your Maven project parameters by entering ” y ” into the command prompt. Anything but ” y[es] ” will loop you through the properties again. I am using a trial account to go through this tutorial. I have gotten through the local deploy with no issues, and have deployed to Neo using the cli. The application itself deployed to Neo and started with no problem. However, when I try to visit the corresponding url, by clicking the link in the Application URLs section of the deployed application, I get a 401 Unauthorized page instead of the Hello World! that I expect. The application URL is of the form https://[appname][subaccount]. [host]/%5Bappname%5D-application/, but https://[appname][subaccount]. [host]/%5Bappname%5D-application/hello does the same thing, and https://[appname].[subaccount]. [host]/%5Bappname%5D-application/ gives me a Service Unavailable error. Do you have any suggestions? Thanks very much. Can you please check out the “Default Trace” Log file on SCP Cockpit > Application > Monitoring > Logging ? You can download the log file and check for any exceptions during startup. Maybe the application cannot start. I checked the logs and saw the errors “Failed to retrieve persistence properties, got response code 404” and “AuthnRequest cannot be send to the IDP.” After some googling I was able to deduce that I needed to have the default settings in Security > Trust > Trust Management. I am now able to hit the URL successfully. Thanks for your help! I’m quite new to installing distributed development environments… so I have the first problem right after generating a project from archetype. looks like proxy issues. Are you behind a corporate proxy? thanks for the quick answer! No, this problem occurs with and without corporate proxy. Also when connecting without a proxy, the error is the same. Configuring maven for proxys was done in step one, so it should not be a problem from the start. Perhaps you have another idea? I think Daniel is right with his assumption, that the proxy is causing you problems. You can find it repeatedly mentioned in your screenshot. This is what we suggested in Step 1, which you have followed. Great! Thank you very much Alexander, I did overlook, that the word proxy had to be replaced! I want to deploy and test this sample code on hana trial. I am not comfortable to use command line to deploy on hana trail. Can i deploy this sample code using Eclipse IDE without command line? If you have configured your Eclipse as shown here, that should be possible. I might also make sense to setup a continuous delivery pipeline as shown in our tutorial. This pipeline automatically deploys the application into your cloud foundry account. I’m not sure about Eclipse, but I would recommend deploying the application on SCP Neo by using the SCP Cockpit. Just chose your file, and set the Java runtime to the latest “Java EE” version. how can I set the log level for certain modules when I do local deployement? Afterwards you can adopt the file application/localServerContent/config_master/com.sap.js.logging/logging.cfg to change the log levels. 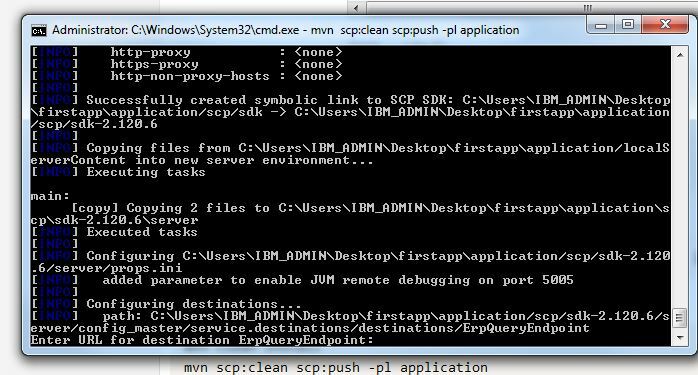 Afterwards, execute mvn scp:push to redeploy your application. do you use the local Neo runtime or a pure Tomcat server? Using a pure tomcat is not supported for local Neo deployments. thanks for your question, but please only ask them once, so that we don’t have to copy our answers all over the place. Have a look at https://stackoverflow.com/questions/53741371/projects-created-with-version-2-8-1-of-sdk-dont-build, there someone had the same problem and a solution was provided. Thanks Chris. This is resolved after starting from a clean slate again. Yes, first posted this on step 4 and then realized it belongs here under step 2.. Couldn’t find a way to delete the post on step 4.. will take care of this now. Thanks again.